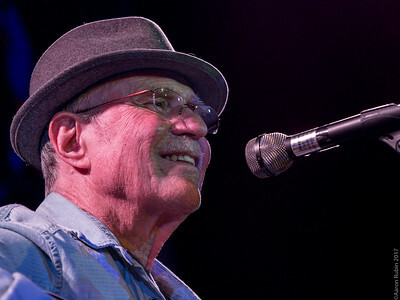 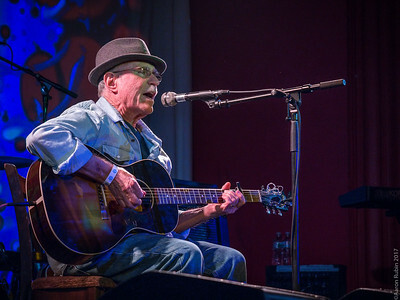 Country Joe McDonald may be best known for his hippie-era antiwar anthem “I-Feel-Like-I’m-Fixin’-to-Die Rag," which he famously sang to half a million mud-splattered hippies at Woodstock, but his 1967 album “Electric Music for the Mind and Body” is a classic slice of psychedelia. 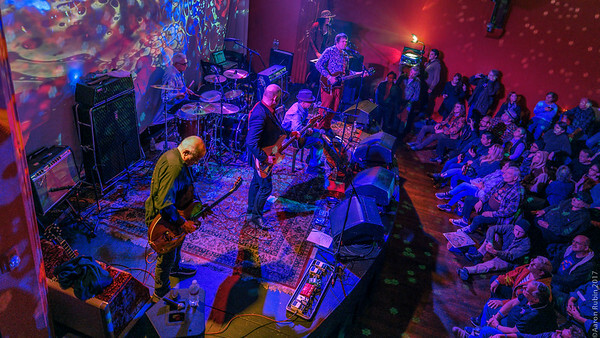 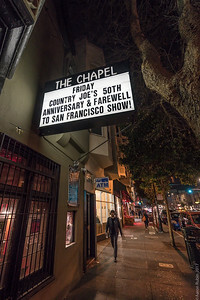 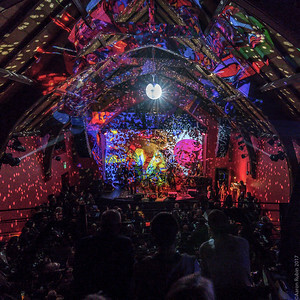 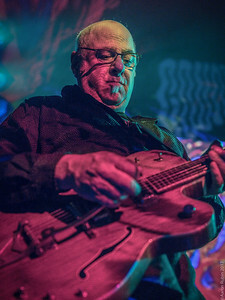 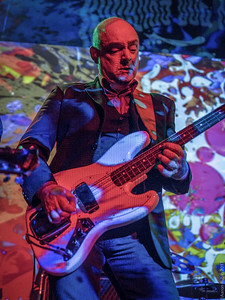 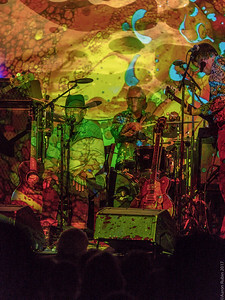 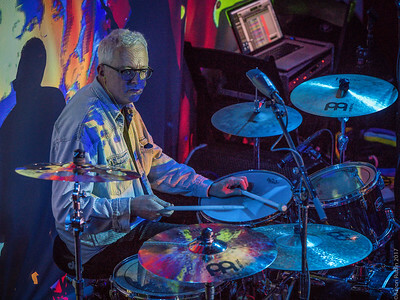 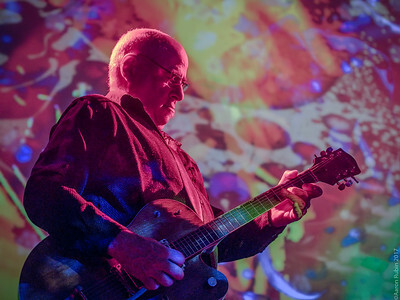 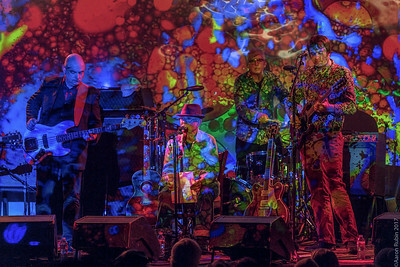 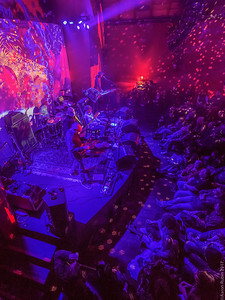 McDonald performed the now 50-year-old album in its entirety at The Chapel in San Francisco, backed by a band of Bay Area luminaries, including former members of Rain Parade, Game Theory, and Thin White Rope. 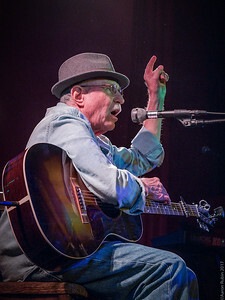 Between songs, the navy vet regaled the crowd -- many of whom looked as though they might actually have been at Woodstock -- with tales of his adventures with his band Country Joe and the Fish back in the Summer of Love. 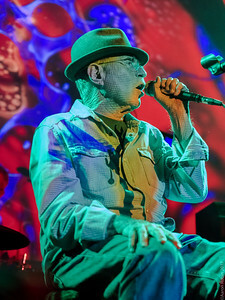 The show, accompanied by a period-correct swirling psychedelic light show, was billed as McDonald's final show ever, but based on the singer's energetic performance, he may not be ready for retirement yet.